If food manufacturers actually cared about your health then they wouldn’t be duping you into thinking genetically modified foods (GMOs) and processed foods are healthy. They really don’t care about your health — just profits. That may sound harsh, but frankly, they only have one goal in mind: Get rich, no matter what the cost. You may not have heard about Monsanto but you’ve probably eaten GMOs. What do the two have in common and how are they killing you? Here are some hard facts. Monsanto is an international agriculture company whose history dates back to the early 20th century. The company began by creating the artificial sweetener saccharin. Later, they moved on to carcinogenic chemicals like Agent Orange, used by the U.S. military during the Vietnam War. After receiving numerous environmental violations and lawsuits, Monsanto is now involved in biotechnology and the agriculture business. 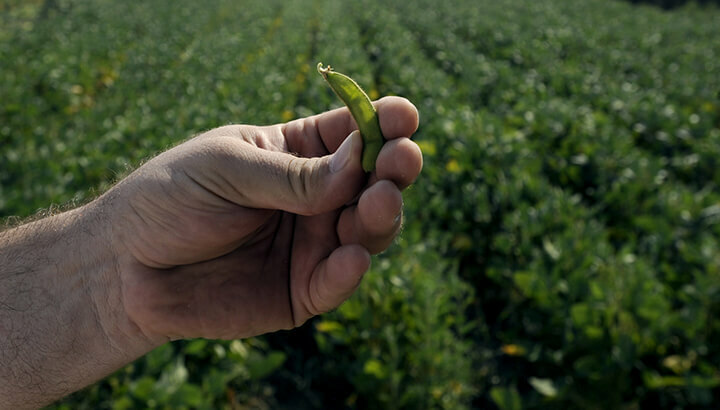 Monsanto says they help farmers grow bigger, faster crops while using fewer resources. But what they leave out is how the end food product is compromised. They also cause irreparable damage to the soils, animals and surrounding farmers’ lands, says Dr. Josh Axe. GMOs are the result of a laboratory process. 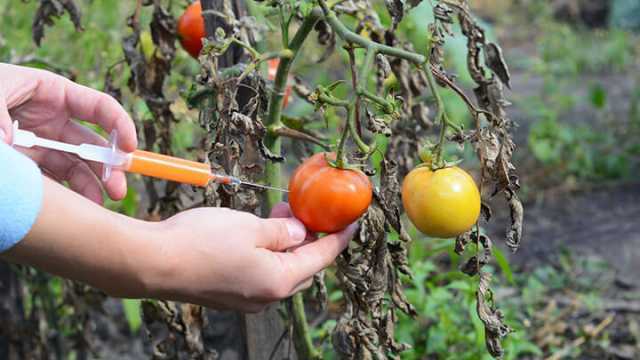 Genes from the DNA of one species are extracted and artificially forced into the genes of an unrelated plant or animal. The foreign genes generally come from bacteria, viruses, insects, animals or even humans. When GMOs first emerged onto the scene, they were touted as the answer to world hunger. By developing pesticide and herbicide resistant crops, farmers could increase their yields and decrease costs. But this has not been proven. Instead, bugs and weeds have become more and more resistant to the widespread applications of Monsanto’s chemicals. That means using even more chemicals. More spraying means higher costs for the farmers and increased damage to the environment. For consumers, it means far greater health concerns, says David Suzuki. Roundup (owned by Monsanto) is the leading herbicide used when growing wheat. A study by oncologists Dr. Lennart Hardell and Dr. Mikael Eriksson revealed that glyphosate (Roundup) is linked to non-Hodgkin’s lymphoma. You may have seen Roundup at the local garden center. Roundup is thought to make soils infertile, crops unproductive and plants devoid of nutrition. What’s really scary is this: Even if you choose not to consume GMOs, you may never have a choice. Genetically modified seeds from Monsanto include crops such as corn, wheat, soybeans and sugar beets — all of which are used as main ingredients for other foods. Many appetites naturally gravitate towards foods that are sweet, salty and fatty. As humans, we crave foods that contain energy and nutrients. So what better way for food companies to make money? All they have to do is feed our cravings for sugar, salt and fat. Many processed foods have been created and tested to reward the brain. In fact, the carefully engineered process is made to overpower anything we might come across naturally in nature. With each bite of the processed substance, you’ll crave more until your body inevitably shuts down. While most of the foods we eat are processed, there’s a difference between mechanical processing and chemical processing. If it’s a single-ingredient food with no added chemicals, then it’s real food. Even if it’s ground or put in a jar. On the other hand, foods that are chemically processed — i.e., made solely from refined ingredients and artificial substances — are “processed” foods. Here’s what they’re killing us: Processed foods are loaded with high fructose corn syrup (HFCS). It may add loads of cheap sweetness and act as a food preservative, but it also contributes to obesity. Sure, manufacturers may argue that it’s excessive calories that make you fat, not HFCS. But HFCS is in everything. That means you’re unwittingly eating high quantities of it daily. In fact, HFCS is not only linked to obesity but also to learning ability and memory, according to a UCLA study. Eating a high-fructose diet over the long term alters your brain’s ability to learn and retain information, suggests the study. A diet high in HFCS is also linked to high blood pressure and toxic mercury. Keep in mind, highly processed foods often contain preservatives, chemicals, colorants, artificial flavoring and texturants (chemicals that create particular texture). Sadly, these additives are highly addictive, along with excessive amounts of sugar, salt and fat. And while that may be killing you, it means more and more money for food manufacturers. Many food labels are created to mislead you into thinking that what you’re eating is actually good for you. 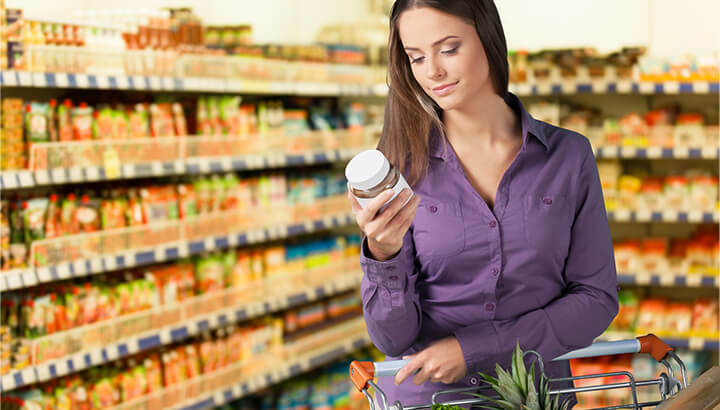 “Fat-free” or “all natural” are often added to labels to dupe you into believing you’ve made the right choice. In reality, the FDA doesn’t define “all natural.” So food manufacturers won’t get in trouble as long as their product don’t contain added colors, artificial flavors or synthetic substances. And that may lead you down the wrong path. Foods labeled “natural” often contain preservatives or they are laced with sodium. Some natural products are even loaded with HFCS. The argument is that HFCS comes from corn, making it natural. Another misconception surrounds bread that is labeled as “made with whole grain” or “multigrain.” Choose “whole grain” or “100% whole wheat” instead. It’s not 100 percent whole grain if it says “multigrain” or “made with whole grain.” Whole grains — which include brown rice and oatmeal — have more fiber and nutrients than those that have been refined. Refining removes the healthiest portions of the grain. And take note, some darker bread has caramel coloring added, so it’s no healthier than highly refined white bread. “No sugar added” may mean no additional sugar has been added to a food. But many foods like fruit, milk and cereals naturally contain sugar. So even though these foods may not have added sugar they certainly contain natural sugars. In addition, “no sugar added” may still mean other carbohydrates, like maltodextrin, are added. Eating a balanced diet that’s nutritionally sound can be difficult for many people, but it doesn’t have to be. Now more than ever, it’s imperative to know what you’re putting in your body. Google is a wonderful tool for research. Bottom line: if you don’t know what it is, then don’t put it in your mouth. Learn how much fat, salt and sugar is healthy to consume on a daily basis. Educate yourself and take responsibility for your health! Next articleBottom-Feeders: To Eat Or Not To Eat? Hey Buddy!, I found this information for you: "This #1 Goal Of Food Companies Is Killing You". Here is the website link: https://www.thealternativedaily.com/why-food-companies-make-gmos-and-processed-foods/. Thank you.